Earth Day...How did this "holiday" even get started? The book that inspired Earth Day was the Silent Spring written by Rachel Carson which dealt with the state of the environment and what was happening to our air, water, forests, and animals. Earth Day is the largest secular holiday which beats Valentines Day and Halloween! 1969...the year I was born...yes I am getting up there... people were getting really upset with what we were doing to our environment from the use of DDT which significantly impacted the Eagle population to the pollution of our water ways caused by the dumping of chemicals into our rivers, lakes, streams from factories around the country. The worst oil spill of the time occurred in 1969 as well. Senator Gaylord Nelson from my state of Wisconsin started taking a look at ways we could teach others about what we were doing to our environment. Our significant impact on the Earth from population growth to climate change continues to be a problem both politically and environmentally, but how can we continue to help our future generations learn about the importance of saving our Earth, going green, recycling, growing gardens, appreciating nature...without causing other issues? On April 22nd, 1970 the first Earth Day was celebrated. Teach in's were used to help educate others on what impact we have on the Earth is and what the devastating impact Earth faces if we continue down this path. Grass roots levels organized to help the cause in 1970 with over 20 million Americans celebrated Earth Day that first year! The Environmental Protection Agency was created which laid the groundwork for the Clean Air Act and the Endangered Species Act to name a few. How can we take what they did back in 1970 and teach our students that they can make a difference just by the choices they make? We want to help our students learn about the environment and we care about our world so that we all can make good choices for our future! 1. Show a song or video. Then have them write about what they heard. This simple song is about 8 principles for a better world! Respecting and caring for ALL living things from trees to seeds, animals big and small...a great message! 2. 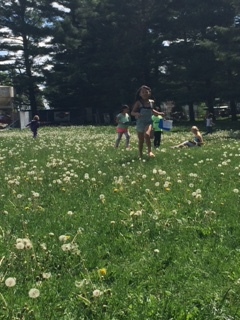 Have students go outside and just take in their environment! Draw what they see. Write down what living things they can observe. Give them time to really look at their surroundings for plants and animals, and nature! Let them breath in the clean air. Then have them share ways to go green with each other! This one one of my favorite Earth Day memories! Sitting and taking it all in until you just need to share with the teacher what you saw!!!! I love her excitement as she is ready to tell me her observations! 3. 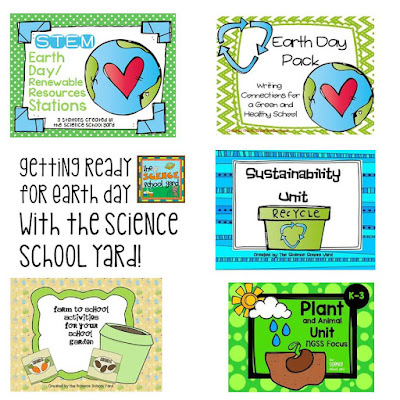 Have them connect with an activity about sustainability or going green! 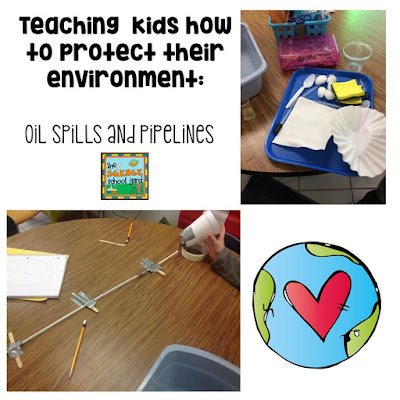 From STEM lessons, to sustainability concepts, or even an energy activity a hands-on science connection is a great way to get your students connecting with their environment and also become problem solvers as they tackle some of our environments biggest issues. Building a wind turbine can be complex or simple. Differentiating to meet your level of comfort is key. As an energy certified teacher, I made a wind turbine that can be tested after the students create their fans. You can produce wind powered cars...solar ovens, sun dials...All it takes though is planting that seed! 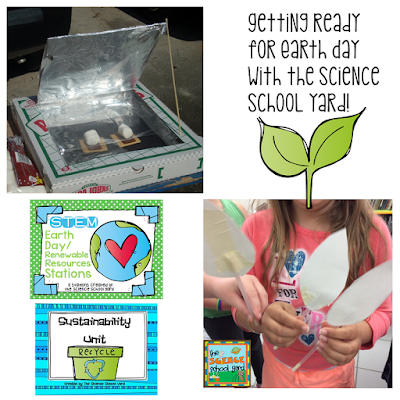 Taking the time to teach about Earth Day can come from a book, a video, a quick writing prompt or even a STEM project, but the important thing is that we are teaching our students to be stewards of the Earth and that EACH day can be EARTH day! Interested in any of the Earth Day challenges? Check out my Earth Day Resources HERE! Let's celebrate the Earth! 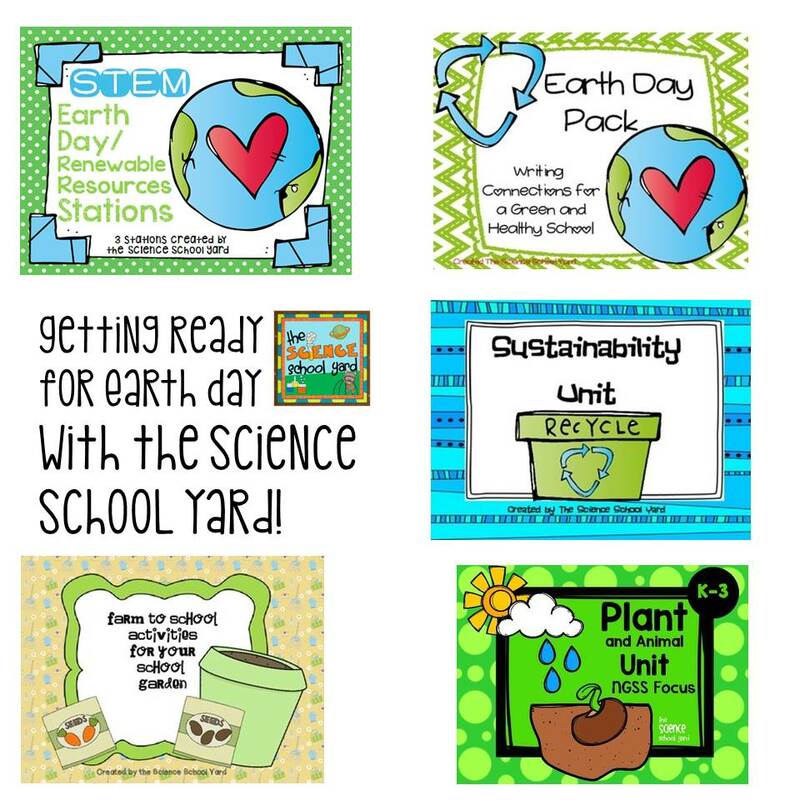 Stop by the Science School Yard TPT store for an EARTH DAY FREEIBE, TOO! This is blog is very nice and innovate one childrence useful blog there are many things will be provided by the process. i am a writer working with custom essay writing service it will give us the best choice of writing service for your academic life.